The beauty of NaNoWriMo is that there is no right or wrong. No basis for success or standards of quality other than words. Words, words, words. Just 1667 words a day, every day, for 30 days. No one cares if they are beautiful words arranged in glorious ways or a string of frustrated obscenities. Just get the words down on paper. Some words. Any words. Editing is for January. I love NaNoWriMo because it forces me to ignore my Inner Critic and keep going, no matter what. Like most of the books created and published by CCC, it’s a collection of small articles written by the folks who actual did the thing the article is about. It’s a way for people to share and learn from each other. Very skim-able. The articles tend to be light on logistics and details, maybe too light for some. Sometimes it’s too light on details for me. But it’s a GREAT idea generator and conversation starter. In fact I had trouble finishing it, because every third article had me dropping the book to send someone an email or make a note to talk to someone else. 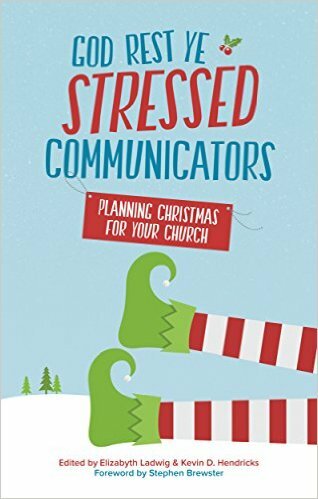 Highly recommended for anyone in any aspect of making Christmas go well in a church setting. At the moment only the Kindle Edition is available, but I have it on good authority the print version is on the way. UPDATE: The print edition is now available as well. I am beginning to think I learned one of my biggest lessons about trust in high school. * I was a dumpy, clumsy girl. At least that’s how I felt. I was heavier than most girls and was always, always aware of that. I walked through life half wincing, so that when everyone started laughing at me, I was prepared.